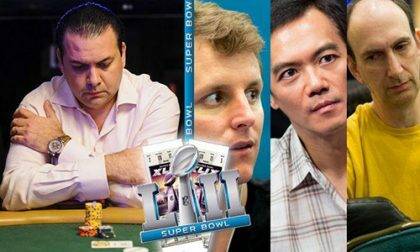 High-rolling poker player Ali Fazeli has pled guilty to a single federal wire-fraud count involving the bilking of approximately $6.2 from an unspecified number of investors — several of them high-profile poker players — in connection with a failed scheme to resell Super Bowl and World Cup tickets. Fazeli was indicted last year on two wire-fraud charges, each of which carried a maximum 20-year prison term in addition to financial penalties. Those penalties can include a straightforward fine of up to $250,000, or an amount of up to twice the illegal financial gain, which in this instance would equal $12.4 million. Miscellaneous court costs and special assessments also await Fazeli, in a deal that was formalized in June but which was just recently publicized by the US District of Central California Attorney’s Office. Fazeli, whose full name is Seyed Reza Ali Fazeli, and who was also known as Seyed Fazeli, raised the more than $6 million in funds for use in his business startup, Summit Entertainment, and then absconded with the funds after his plans to obtain large quantities of the tickets failed to materialize. Fazeli, 49, a resident of Orange County, California, was a frequent participant in the irregularly scheduled $25,000 “high roller” events at the Aria in Las Vegas, wherein he briefly enjoyed some success before his luck ran out in 2016. Fazeli is believed to have use some of the misappropriated investment funds at failed poker-tourney efforts, though his last recorded cash came in late 2016. Eventually, a feature released by Vegas-based CardPlayer identified three of Fazeli’s victims as well-known poker pros Erik Seidel, John Juanda, and Zachary Clark. Seidel and Clark each sunk $500,000 into Fazeli’s scalper-style business, while Juanda invested another $300,000. 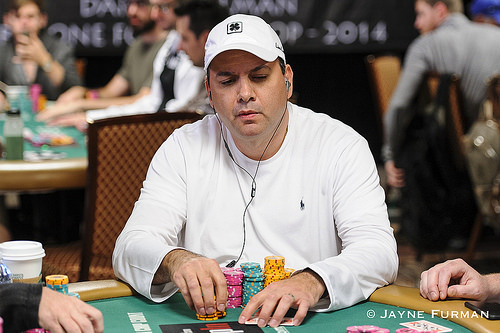 Those three poker pros also filed a joint civil claim against Fazeli in Nevada’s Clark County District Court last year, though their chances of recovery appear slim. The identities of the investors of the other $4.9 billion have not been publicly identified, except for California’s Stephen Moreschi, for an undetermined amount. The Aria itself has filed a claim against Fazeli for unpaid casino markers, and like the affected poker pros, is likely to find it difficult to collect. SANTA ANA, California – An Orange County man has pleaded guilty to a federal wire fraud offense and admitted operating a $6 million scheme that bilked investors who were promised large profits from the resale of tickets to high-profile sporting events, including the Super Bowl and the World Cup. Seyed Reza Ali Fazeli, 49, of Aliso Viejo, a professional poker player, ran a Las Vegas-based ticket business called Summit Entertainment, which also operated under the names onlinetickets.com and pacertickets.com. According to court records, from May 2016 through May 2017, Fazeli solicited investors in Orange County, Houston and Las Vegas to send approximately $6 million to Summit Entertainment to purchase tickets to the 2017 Super Bowl and the 2018 World Cup games. Fazeli told the victims that Summit Entertainment would resell the tickets at a substantial profit and share the proceeds with them. After numerous investors wired approximately $6 million to Summit for sports tickets, Fazeli failed to provide any profit distribution. Fazeli falsely told the victims that the ticket sales went poorly because the NFL prohibited their resale and that he was negotiating a settlement with the NFL. According to court documents, Fazeli never purchased large numbers of Super Bowl or World Cup tickets as promised. Instead, he used the money for gambling expenses at Las Vegas Casinos and for personal expenses. United States District Judge David O. Carter set sentencing for January 28, 2019. Fazeli faces a statutory maximum penalty of 20 years in federal prison. The investigation is being conducted by the Federal Bureau of Investigation. Anyone who may have been victimized by Summit Entertainment or Fazeli is encouraged to contact the FBI’s Los Angeles Field Office at 310-477-6565. This case is being prosecuted by Assistant United States Attorney Joseph T. McNally of the Santa Ana Branch office.